Without further adieu, I give you Jess! As a wife to a husband who works hard at 50+ hours a week and a stay-at-home Mommy of 2 very busy littles, I simply say, "Hello! My name is Jess!" I've been faithfully using my Young Living kit and oils for 2 years now. I thought that they were just over priced bottles of smelly oils, and it took me a year before I actually USED them in 2016 after my daughter was born and she fell ill. After a few failed attempts of medicines and research, I made the choice to turn to oils. The difference within 24 hours sold me out, and now they've become a daily part of my family's lives! I love to do research upon research to find just what different oils are, what they do, and how I can use them. My passion to share and teach others continues to grow daily. Unfortunately, we aren't born with vast amounts of wisdom and knowledge, so that's why I'm here! I want to make that road a little easier for each of you! As I sit here writing my oil-of-the-month choice, it is literally 30mph gusts of snow and ice outside of my windows. Ohhh, and did I mention the massive drifts plus -25 windchill? Ummm - BRRRRRRRR! So, I'm putting my oil words into oil action as I share with you! I'm talking about L•E•M•O•N!! I'm talking about the amazing, mouth-watering citrus boost of just inhaling it!! I'm talking about the refreshed and encouraged feelings that sweep over you as you sit back and sip your hot lemon tea or lemon infused water! I'm talking about.... ok, fine. I'll stop talking and start sharing! So, what makes this oil so important to our daily lives? How about the versatility for starters! Cleaning, energizing, cooking, brightening and many more *ings*, I'm sure! Drop a few drops on a rag and wipe away! Shake up 3 drops in a glass water bottle and uplift yourself! Have a toddler who decorated your home with crayon? You got it! Grab the lemon! How about that fresh garlic and lemon chicken dinner? Add a small amount to get the desired citrus BOOOOOMM and serve away! So, aside from the beautiful and vibrant scent, what makes this oil so great? Limonene! This helps immune systems, digestion systems, boosts our skin health, stands against germs and inflammation issues, etc. Let's just all agree that lemon is the top dog of oils!! So, sharing how I use this oil would take a few months to dig through and ain't nobody got time for that! So, my fave it is! #1 is I diffuse my misery away like a vapor in the wind! This cold and quite vile weather breaks my heart, mind and energy! So, I take my lovely little lemon and my diffuser and create my own habitat of bliss and energy! I put 2 drops of lemon*, 2 drops of rosemary* and 2 drops of peppermint*, and I am telling you what - Instant uplift! It's not just cleaning my soul but cleaning my air, too! And if y'all have kids (or spouses) that may be adding to the snow stress, just have them drop by the diffuser and enjoy the benefits!!! And the possibilities are simply ENDLESS with this baby!!! Once you drop you just can't stop!!!!!! *Click on the link to view the ingredient list to see if this product is right for you and fits your individual allergen needs. Also note that all essential oils mentioned are the Vitality variety. You can search the other oils and blends here. Ready to have your own bottle of Lemon or want to know more about how to get your own oils? 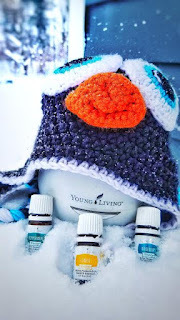 For even more information on how you can get started with Young Living Essential Oils, click here. Curious as to "Why Young Living?" Click here. Want to keep up with my latest oils, info and discovery? Head over to my blog, Essentially Balanced. I am available anytime for support, help and guidance, too! Disclaimer: This post is for informational purposes only and is not meant to take the place of your doctor’s medical advice. Though essential oils can be of great benefit for many people, they need to be used properly, and please be advised that some people cannot use essential oils due to allergies, sensitivities, etc. I highly recommend that you discuss the use of essential oils with your allergist or physician prior to using them for the first time to see if essential oils are right for you. All information shared here is based on the personal experiences of Jessica Pero and/or myself, and individual results can vary. Neither of us are doctors, and we cannot treat, cure or diagnose any medical conditions. Neither Jessica nor I have been paid for our opinion of Young Living products, though free samples may have been sent to us at times (most products will have been purchased by at least Jessica for personal use vs. being given to her for free to try prior to it appearing on this page). Our opinions are 100% our own without censor and reflect our personal feelings on the products and not that of the company/person that sent them to us. If I do not have a comment on a particular product, it is because I have not personally tried it. No product will be shown on this site that has not been tried by at least Jessica beforehand. 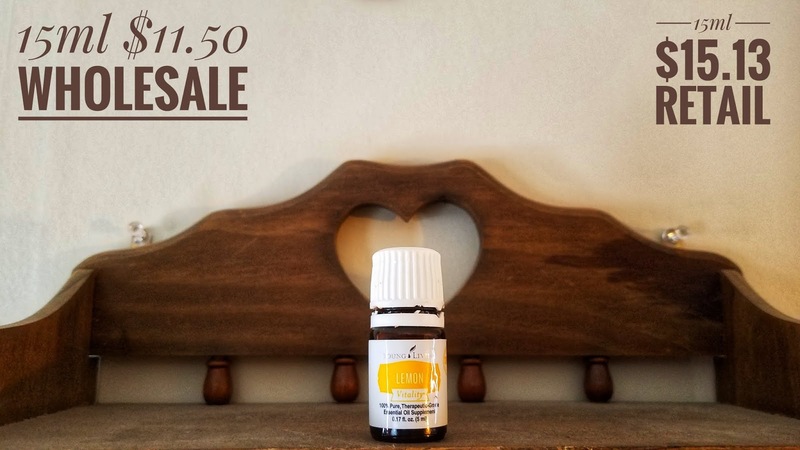 This post will also contain links (that were safe and valid at the time of posting) to outside sources to give you more information about the products listed and about how to purchase these products, including but not limited to the option to set up an account with Young Living. You are not required nor obligated to set up an account with Young Living nor to purchase products from them by visiting these links. If you choose to set up an account with Young Living or buy their products, you do so at your own discretion. 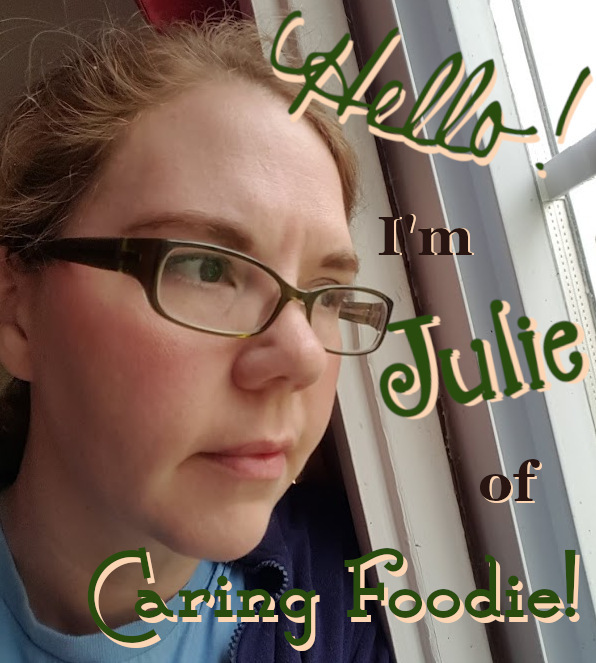 Furthermore, by using the information in this post, you expressly acknowledge and agree that Caring Foodie, its author (Julie Moore), Jessica and Caleb Pero, Essentially Balanced, Young Living, blogspot.com and wordpress.com are not responsible for the outcomes of your decisions resulting from the use of this information including, but not limited to, your choosing to purchase or not purchase products, to take (or not to take) a specific course of action based on the information shared herein or your seeking (or not seeking) professional medical care. Thanks for being my guest, Jess! I hope you all have enjoyed learning a little more about Lemon Essential Oil. If you have further questions, please leave a comment below and Jess will respond as she is able or contact her via her "Contact" page.